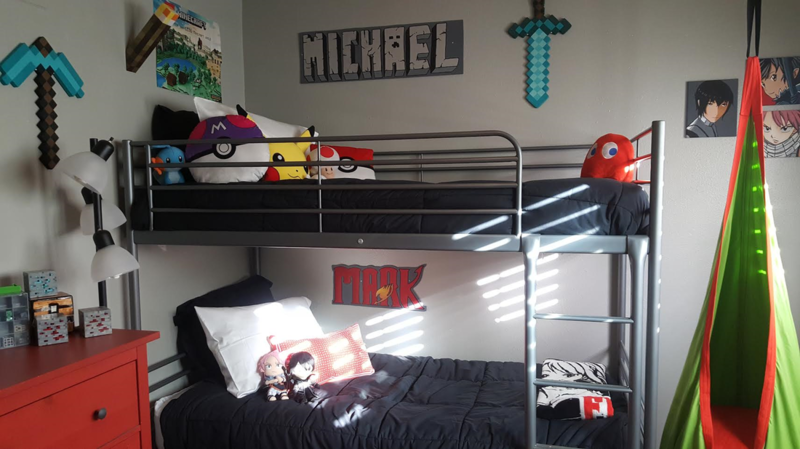 Mark, Michael and Miles are three very active brothers with very different likes. 8th grader Mark is into anime and Manga. 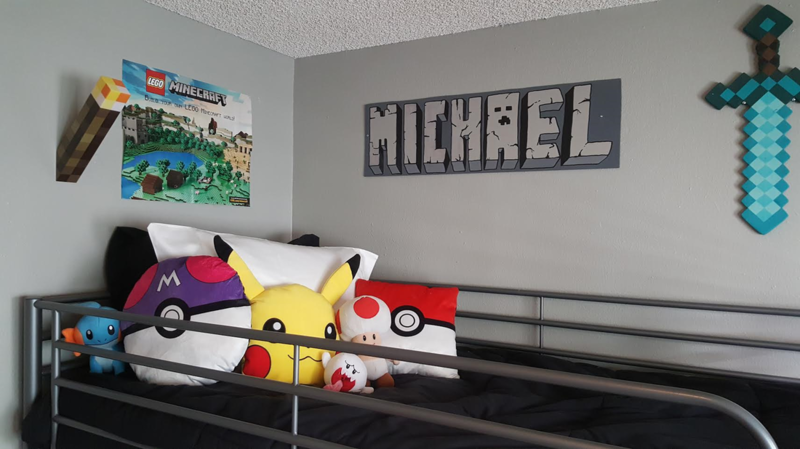 7th grader Michael loves Pokémon and Minecraft. 5th grader Miles is the sports enthusiast who loves the Denver Broncos and the Barcelona Football Club. 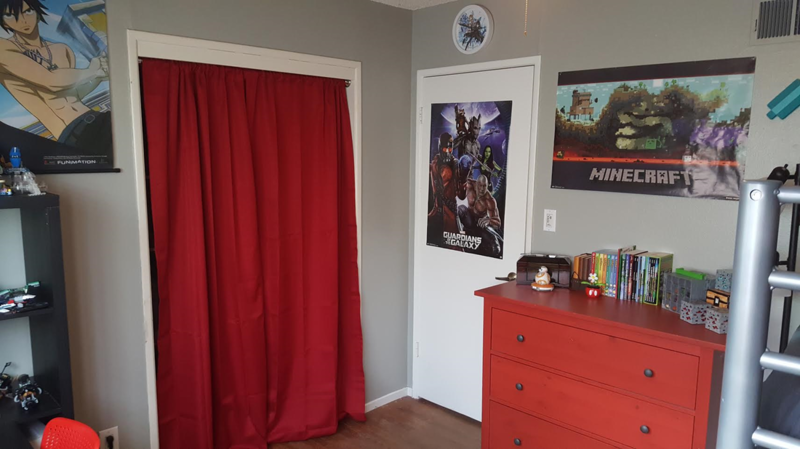 The boys were nominated for a sweet dream makeover from Cecily's Closet and the team was thrilled to be able to pair youth volunteers with the challenge of designing two rooms for boys with varied interests! The older boys, Mark and Michael, are old enough to advocate for themselves. As they have grown through the years, they've learned the importance of standing up for what they need to best support their growth, development and medical needs. It became apparent that the shared family space was not the best place to store their medical supplies. 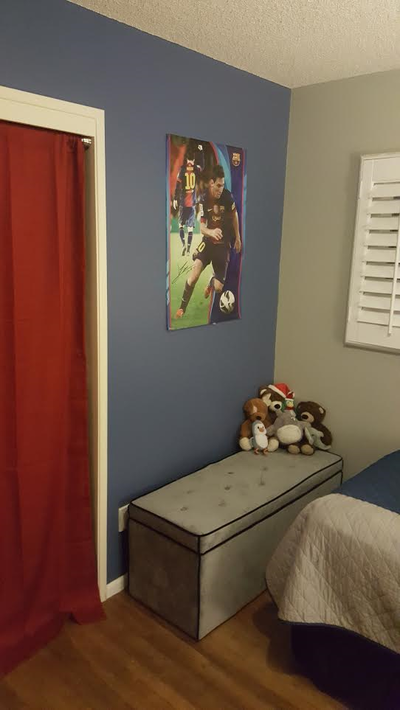 Cecily's Closet was very blessed when an anonymous donor stepped in and provided the boys with their own refrigerator so they may take care of their medicines in the privacy of their own bedroom. Michael and Mark both have Asperger's Syndrome and ADHD. 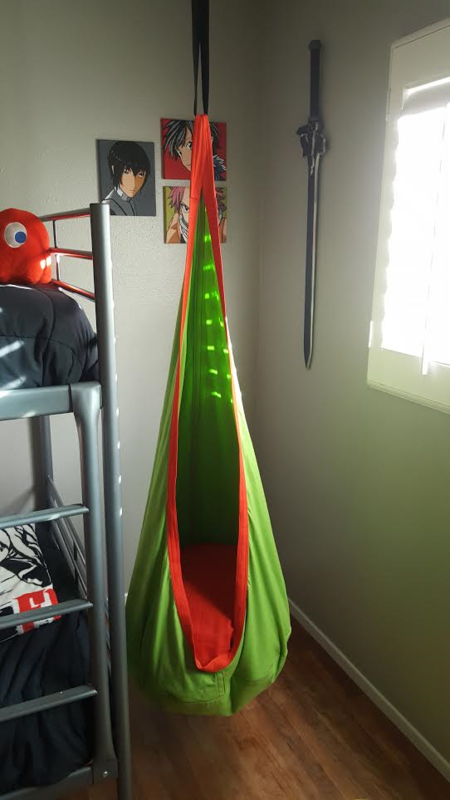 They hoped to be able to have a swing in their room, so they may have a safe place to calm down and read. In addition, they needed plenty of Lego storage and a fun space to create and draw. Their room came together under the guidance of Project Lead and artist, Emily Dolton. 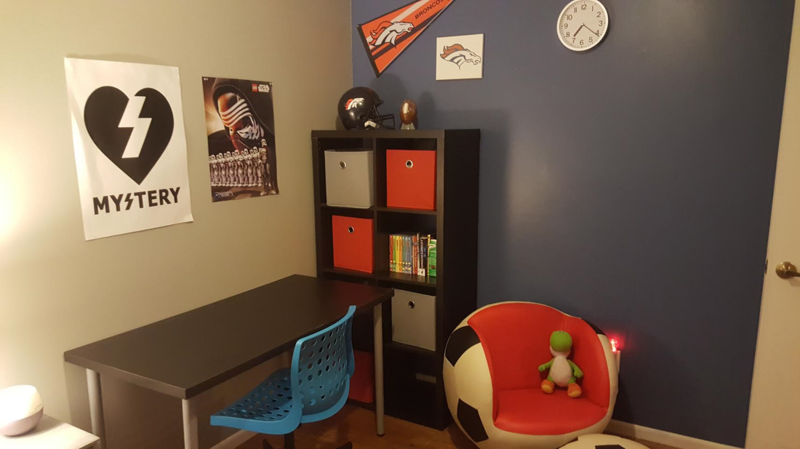 She worked with the teens to combined the varied interests into a cohesive place that suited both boys and their individual needs. 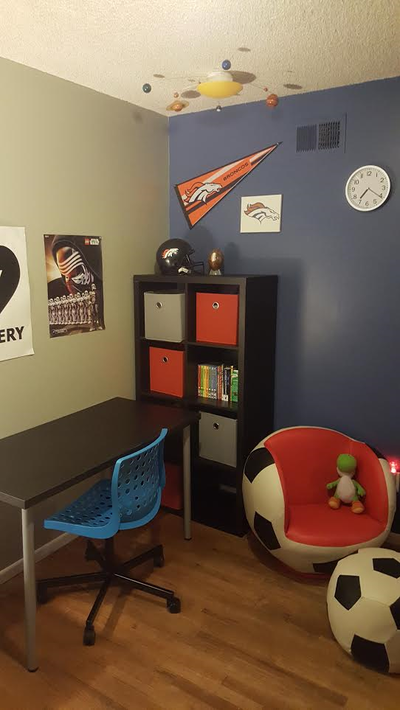 Miles, the youngest son and biggest sports fan, needed a space all his own. 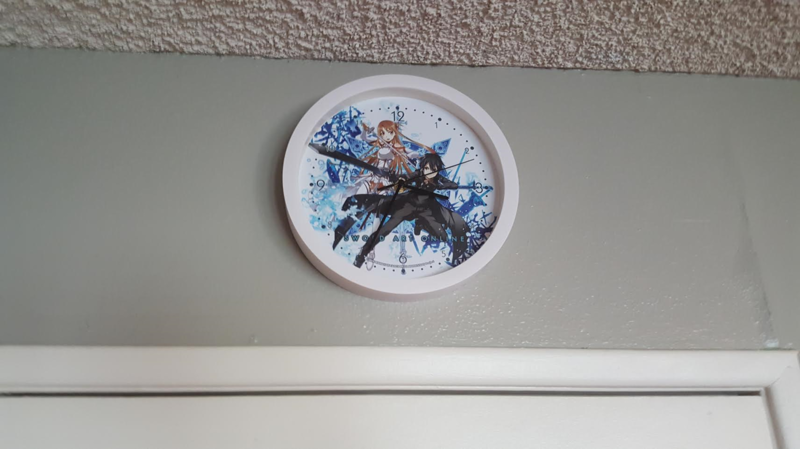 Mom and Dad hoped to ease the stress of a new diagnosis with the benefit of a room custom-made just for him and his dog! Miles likes things very clean so the team put an emphasis on organization and making the room as accessible as possible. 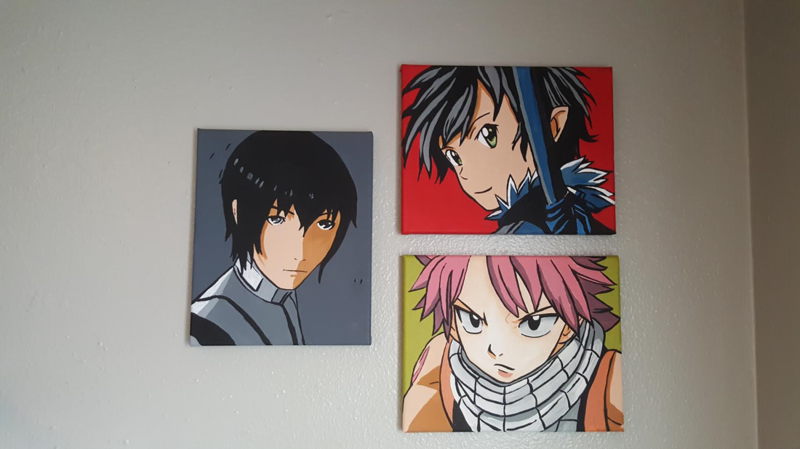 The Marston Middle School CJSF students volunteered to create anime, Pokémon and Minecraft art with the help of artist Emily Dolton. 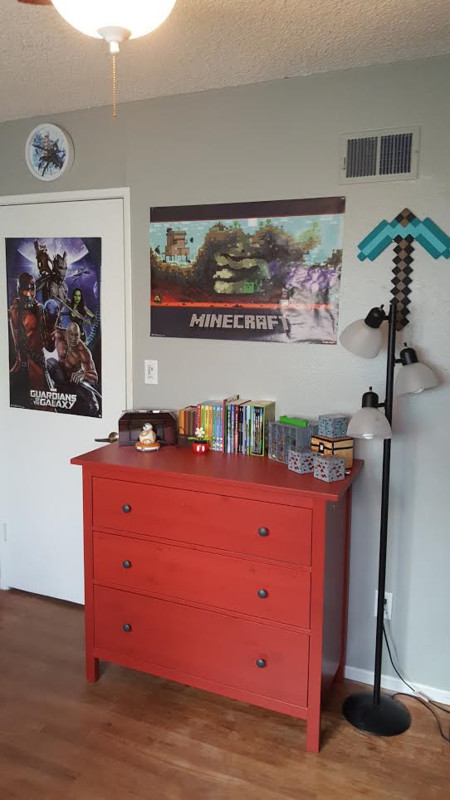 They also assembled furniture and organized the boys' extensive Lego and toy collection. 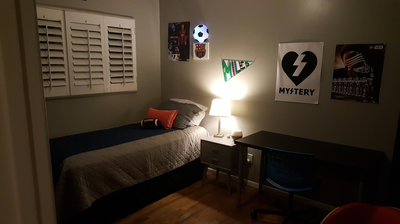 Emily and Marston student Connor Gilbert were able to garner a majority of the donations including bedding, storage, and additional art for the walls. A special thank you to local comic shop Comickaze for their help understanding anime characters. 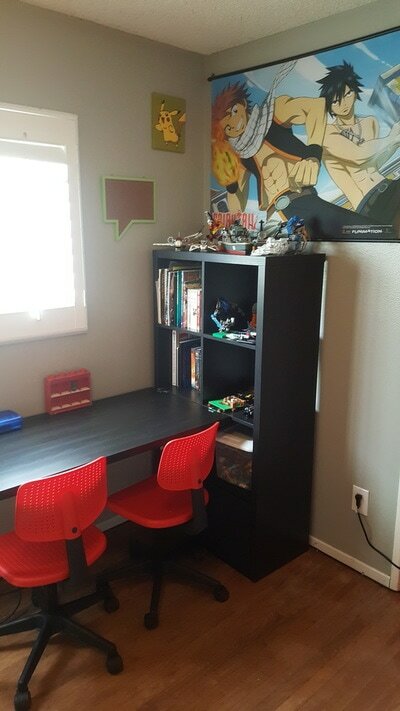 Thanks to San Diego Family Magazine for providing Manga Art Books and other books for the boys and to Roberta and Trey Apelligio for their donations of anime dolls, bedding and Pokemon pillows. Thank you to Emily Dolton and Andrew Gilbert for their donation of paint and painting services. We are happy to hit the ground running in 2017 with two wonderful rooms for a very deserving family! Thank you to our CJSF youth volunteers from Marston Middle School for making our first project of 2017 a smashing success! If Marston Middle had to summarize itself in two phrases it would be Academic Excellence and Unprecedented Student Choice. They have a large Gifted and Talented Education (GATE) program for both cluster- and seminar-identified students. They believe in all students and pride themselves on integrating college-prep rigor in all courses. We can testify that these students were hard-working, generous, smart and a pleasure to work with on not one, but two room makeovers for three lucky boys!